The Tao is not to be found in books. I remember a lesson I learned one sunny afternoon many years ago… It was unusually hot so I sat myself down on the riverbank in the shade of a willow tree – to shelter from the sun and to catch up on some reading. There was a small weir in the river no more than a metre or two away from me and the sound of running water filled my ears. I took out my copy of the Lieh Tzu and started to read. It didn’t take long for me to encounter a phrase that I found particularly puzzling at the time, namely that “…the Tao is not to be found in books”. Although I was familiar with the oftentimes obscure, mysterious and perplexing style of Taoist writings, I was struck by the profundity of this idea. I closed the book and took a look around at my surroundings as I contemplated Lieh Tzu’s statement and its meaning. Glancing at the river, I noticed a mother duck with 8 or 9 little ducklings in tow swimming upstream towards the weir. As I watched, the mother duck swam effortlessly up the weir closely followed by several of the stronger ducklings. More followed and met with varying degrees of difficulty and success – some needing several determined attempts to scale the torrent of water and others seemingly reaching the higher level through the sheer desperation of needing to be reunited with their mother who was waiting a short distance upstream. Until only one duckling, the last in line, was left struggling to surmount the weir. Separated from its mother and the rest of its siblings, this little duckling grew increasingly frantic – throwing itself into the oncoming rushing water time after time and growing increasingly weaker with each failed attempt. Eventually, mother duck and her brood began to swim away leaving the straggler behind. Seeing its mother getting further and further away the exhausted little duckling did something none of the others had done – it swam to the riverbank, walked around the weir and rejoined its family in the calmer water upstream. I consider myself very fortunate to have witnessed this event and I’m still learning from it. Initially, this little duckling helped me to grasp what Lieh Tzu was driving at – that the Tao was to be found through quiet contemplation, interaction with nature and engaging with the world at large. It also demonstrated the efficacy of non-contention – of moving around insurmountable obstacles rather than trying to tackle them head on (or “wu wei” – not going against nature). This much was fairly obvious to me at the time but it happened before I’d started my study of Tai Chi Chuan. Now, about 20 years later, I realise that there are a great many more lessons to be learned from this occurrence and I’d like to share some of them with you. They relate to focus and context and will hopefully help to illustrate how we can all benefit from taking a more comprehensive view of some of Tai Chi Chuan’s training methods . When I was reading Lieh Tzu under that willow tree I thought that I could grasp the essentials of Taoism through book learning alone. I thought that I could find “The Way” in a book. It wasn’t until the words and the ideas baffled me that I changed my focus and noticed what was going on in the world around me. In other words, I was so intent on one thing that I was missing everything else. I think that a great many of us do the same thing with Tai Chi Chuan – we view it in isolation, relatively unconnected to our daily life. And although many of the training methods do eventually integrate and suffuse our being naturally, I think it is of great benefit to purposefully view our training in a more holistic way. 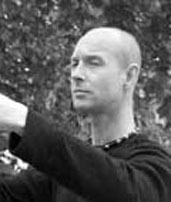 Tai Chi Chuan did not develop in isolation, it is based on natural, universal principles that have been observed, studied, refined and synthesised over countless generations. In my opinion, it is a tool which has been developed in order to help us better understand and deal with our place in the natural scheme of things. As such, each aspect of Tai Chi Chuan’s training methods should be viewed as parts of an integrated and greater whole. We have warm ups, chi kung, forms, pushing/striking hands, martial applications, weapons, sparring, etc. and it’s easy to view each of these separately – as individual skills and as clearly defined exercises that are somehow distinct from other activities. But they are interconnected transferable skills which inform and elucidate every aspect of our lives and I believe it is of the utmost importance to incorporate all aspects of Tai Chi Chuan into our daily affairs. What is Tai Chi Chuan for if not to improve our overall quality of life? For example, much has been written of late regarding the importance of emphasising the martial or fighting aspect of Tai Chi Chuan. Some people would go so far as to say that achieving superior martial skill is the ultimate aim of Tai Chi Chuan. And although I agree that the ability to effectively defend ourselves and others is an essential survival skill, I also believe that martial training goes far deeper. It teaches us to be calm under pressure, to make split second decisions under duress, to adapt to unfavourable circumstances, to respond effectively to adversity and to face our fears. These are all far reaching in their application and eminently useful in our daily living – much more so than the ability to beat a violent assailant. It’s worth bearing in mind that we are seldom shown or taught the consequences of violence – if you kick that knee or break that elbow and cripple someone, remember that you have to live with yourself and the aftermath. It is also worth noting that “real” violent conflict is very different to that encountered during training or organised competition. All violence is abhorrent and to be avoided. It should only be used as a last resort to protect ourselves or others if there is absolutely no other alternative. In order to illustrate how this attitude can work, I’ll refer to an event that took place in the mid 1990’s outside “The People’s College” in Nottingham, UK, where I was studying as a mature student. There was a road rage incident on the main road (Maid Marian Way) outside the college. A car screeched to a halt in front of another car. A rather large gentleman got out of this vehicle, walked up to the car behind him and knocked on the driver’s window. The driver of the car behind (somewhat foolishly) wound his window down, at which point the aforementioned rage inflamed individual thrust one of his hands through the open window and grabbed the drivers throat – some children, on the back seat of the car in front, were watching all of this happen (as was I). It was at this juncture that I deemed it necessary to intervene. I approached the antagonist whilst saying that whatever was happening, there was surely no need for violence – at which point he turned towards me and asked – “Do you want some then?.” He approached me with an outstretched arm which I brushed aside using a Seven Star technique (- just like the duckling who went around the greater force). I pointed out that his kids were watching and that this was probably not the best example to set them. The situation became diffuse and he got back in his car and drove away without further incident. No-one got hurt. I’ve been involved in several similar situations with similar results. Tact and diplomacy are infinitely preferable to reckless violence. I can honestly say that the road rage incident I mentioned earlier was not resolved because I was good at competitive push hands or because I fancied myself as a fighter. I simply acted in a way that I deemed appropriate at the time. Things could have been very different had I cultivated a predominantly martial or competitive mindset. In practical terms, I think we can reduce pushing hands down to three essential skills – Ting Jin (the ability to listen to energy), Dong Jin (the ability to understand energy) and Fa Jin (the ability to discharge energy). These are usually understood in terms of the practitioner’s capacity and capability to sense, comprehend and react to an incoming force or energy. Ultimately these pertain to awareness and they have much wider implications in everyday life. Push hands teaches us to maintain our balance and integrity whist being assailed by forces outside of ourselves. We do this by joining with the external force, internalizing and adapting to it, and working with it. If we listen (Ting Jin) we have a good idea of where someone is “coming from” or what is happening. From this information we have a better chance of understanding them and perceiving their meaning or intent (Dong Jin). Then we can act accordingly (Fa Jin). We learn how to deepen our sensitivity, how to discriminate without prejudice and how to turn a potentially adverse situation to our own advantage. This is obviously useful in many areas of life aside from the solely martial context in which we usually use these terms. They apply to our personal, social and work relationships and our wider connections with the natural world in general. Positive change is implicit in all of this. These apparently simple tools affect every aspect of our lives and to look at them as merely a “martial art” is to rob them of at least some of their power and influence, and demean the ancient wisdom that they represent. “The Form” is a device that equips us with the means to ascertain how our body can move in the most efficient and effective manner – in accordance with (of course) the universal precepts observed and edified by those wise old Taoists. We move only in relation to and in accordance with the fundamental principles of yin and yang. It is the embodiment of self control. The form is most people’s first point of contact with Tai Chi Chuan and because it is initially experienced externally – by observation – we can become overly concerned with its outward appearance. This can detract considerably from the internal processes involved and trick us into favouring image over substance. We can become transfixed on making it “look right” instead of allowing it to happen. In other words, the way it looks becomes more important than the way it feels. Once again, this leads to the mention of competition in relation to the deeply personal way in which we, as individuals, perceive our execution of the movements or “forms”. Surely the inner (and thus “invisible”) processes such as the opening and closing of the joints, the deep feeling of calm or the subtle internal stretches and contractions are more important than external appearance? Can this really be accurately judged by an outside observer? What about those of us who practice to alleviate an injury, disease or disability and can never hope to achieve the aesthetic beauty that epitomises competitive performances? Everyone is unique and each individual fulfills the form in their own way. I used to train with a one-armed gentleman years ago. And although his Tai Chi Chuan was exemplary, his skills would never have been acknowledged or awarded according to current competitive judging criteria as I understand them. I believe that any exclusivity goes against the spirit of Tai Chi Chuan. Furthermore, in my opinion, we learn “The Form” in order to (eventually) become formless and free from needless restrictions. Even so, a good teacher or practitioner can spot where someone (or themselves) is going wrong. It is also the teacher/instructor’s responsibility to gauge how and when to intervene (if at all) in order to best facilitate the student’s progress. Failure to do so accurately and appropriately can seriously impede the student’s progress, dissuade them from practice or cause injury. But it’s also important for the individual to notice, work with and ultimately correct any deficiency for themselves – aspects of Ting Jin, Dong Jin and Fa Jin again (but in this context we’re listening to, understanding and expressing our sense of our own energy in relation to gravity and our internal processes). We can relate back to the mother duck and her ducklings here. Who’s to say that her swimming away wasn’t some instinctive understanding of her progeny’s need to experience the feeling of seperation in order to progress along its natural way? – Sometimes we need to be left alone to figure things out for ourselves, through our own experience. As regards the integration of the Form into our day to day living, aside from improving our mobility and kinaesthetic awareness, it can teach us our personal limitations, how to drop our facade and to let go of our pretences – how to engage with our inner reality as opposed to our public image. It can help us to encounter our sense of self in a spirit of acceptance and self-exploration with a view to nurturing all that is good within us. It can help us to heal ourselves. The benefits of this need no further explanation. Defocalising in order to see the bigger picture. My view is that we need to defocalise from time to time and let the world flood in. Only then can we refresh our perception, regain our perspective and truly comprehend what it is that we are really trying to achieve through our endeavours with Tai Chi Chuan training. We are, after all, a part of nature and not apart from it. Remember that at its best, life is a truly beautiful and wondrous experience. We should all be working towards making this the norm. So what about Chi Kung and the associated health elements of Tai Chi Chuan training? Even though these so called health exercises are apparently innocuous, doesn’t their practice fight disease and distress in much the same way as the martial aspects help us to defend against violent incursion? Has anyone ever heard of a competition to gauge who is the healthiest in mind, body and spirit? Perhaps this element is far more important and significant when viewed in the light of our current collective global concerns? In order for us to evolve peaceably and live well, surely our propensity towards violence (in all its guises) must stop? What place is there then for martial efficiency? Everyone has something valuable to offer regardless of their skill level in Tai Chi Chuan (- I am always learning from my students for example). We need to stop thinking in terms of how good we think we are, what we are fearful of, what we think we need to defend against, or of what we think we need to prove. Instead, we should all be applying our efforts and energies towards making our world a better and more harmonious place in which to live – it’s our duty and long overdue. We should cooperate rather than compete. Let’s not forget that Tai Chi Chuan is but one (albeit a multifaceted, pragmatic and effective) approach that can help us along on our journey together. In this regard, the best we can hope for is to consistently improve and develop ourselves through our practice. This pertains to the physical, psychological and spiritual aspects of our lives including the way we relate to others and our environment. Just like the ripples that spread out from a stone dropped into a pond, Tai Chi Chuan affects everything about us. Consequently, it also affects everything and everyone around us. It is Taoism in action and inaction and so much more than the sum of its parts.